Horsegram/Kulith/Huralikalu/Kullu in english, konaki, kannada and tamil respectively. It is now vastly used in the preparation of dosa, idli, sprouted usli, kodhel(spicy coconut gravy) and also used in Mujadra a middle eastern one pot meal. I tried out this traditional dry chutney powder which my grany was preparing in my childhood. It tastes yummy and is a good combo for idli, dosa and even with rice and dal. Here is my version of the recipe. 1. Place a wide skillet with Horse gram in it and dry roast the same till it turns crispy and a pleasant aroma oozes out. Allow it to cool transferring it to another bowl. 2. 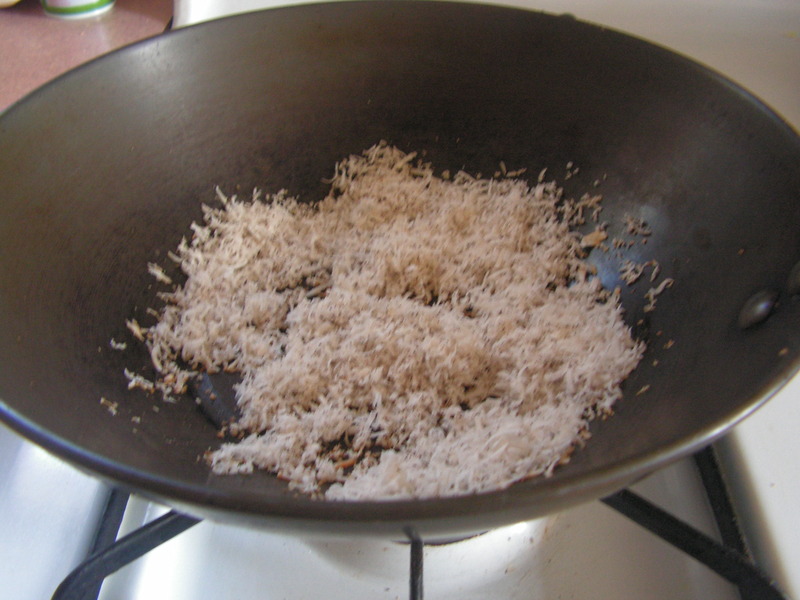 Dry roast grated dry coconut in the same skillet till crispy and light brown in colour stiring at regular intervals. 3. When done , switch off the flame and add tamarind, jaggery and chili powder to it and give a strong stir so that it gets mixed and tamarind is softened and chili powder is roasted right. 4. Dry roast curry leaves in skillet till crispy but does not change the colour preferably on low/medium flame. 6. In the mixer formerly powder roasted Horse gram, jaggery, tamarind to a coarse consistency, and then add the remaining ingredients and grind again to required consistency. Ready to serve Horse gram chutney powder is as shown in the image below. Note: 1. 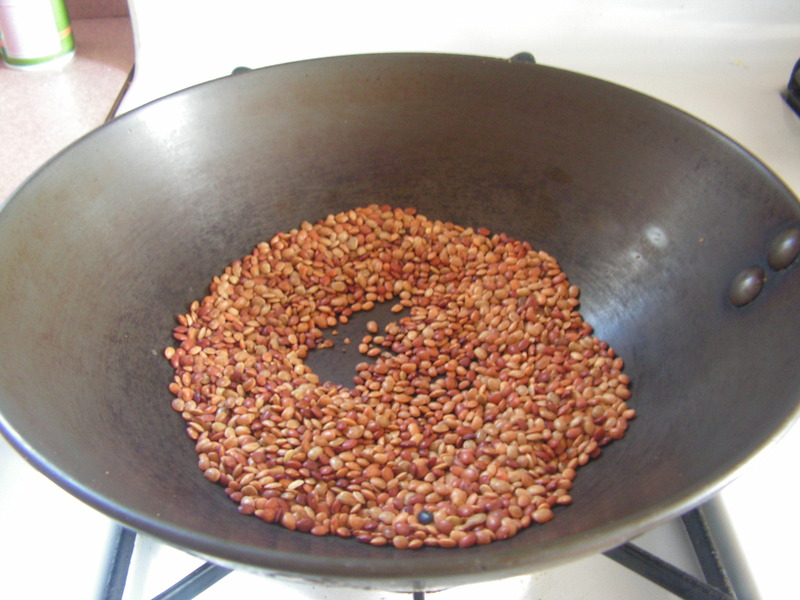 Use fresh and quality Horse gram for the dish for better results. 2. 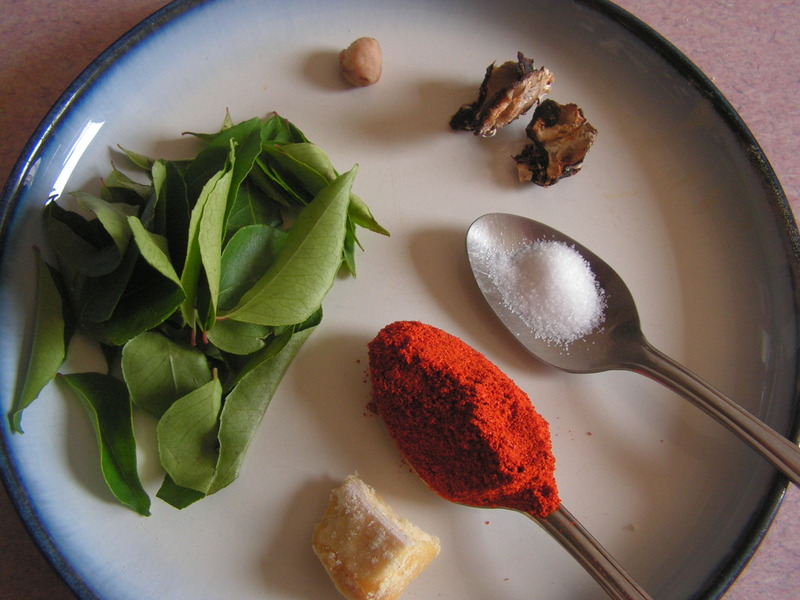 One can even use garlic in place of Curry leaf and Asafoetida. This entry was posted in Uncategorized and tagged Dry powders, Horse gram dishes. Peanut and dalia dal are used in various culinary preparations and also as condiments. I have already put up dalia dal (hurikadle) chutney powder, peanut chutney powder and this is a new chutney powder which can be prepared with minimum copra and even without it. This chutney powder is a garlic version of the combination to relish with roti, paratha, curd rice or even as a spread on a slice of bread. Here it is. 1. 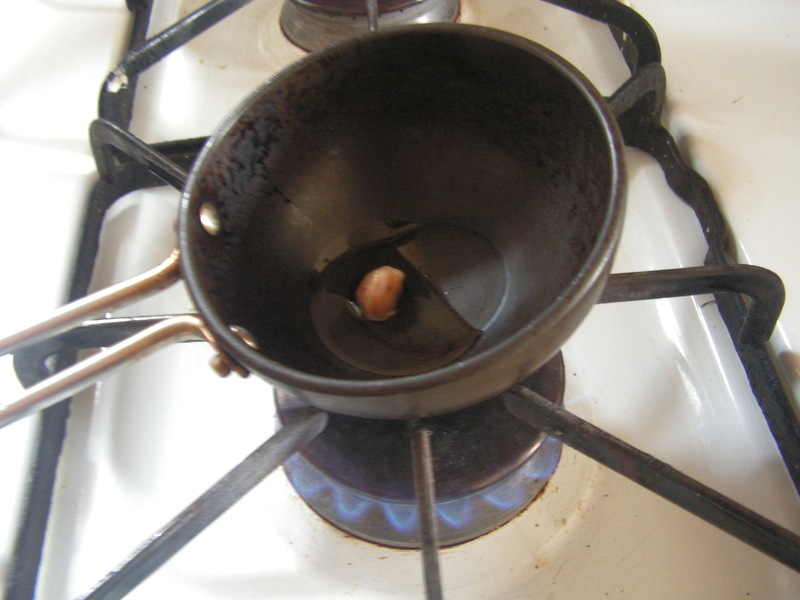 Place a skillet and dry roast peanuts till you get a pleasant aroma and you are able to peel the nuts when you rub with your hands. Peel the roasted nuts on cooling. 2. In the same skillet dry roast dalia dal till the raw smell disappears and it turns crispy. Switch the flame off and add chilli powder to it and saute well. 3. Peeled peanuts, roasted dalia dal, chilly powder, garlic pods, tamarind and salt are the main ingredients of this chutney powder. 4. Grind the above mixed ingredients in the mixer to a medium coarse consistency . Enjoy with Roti or Chapati or even Curd rice. 5. Place a skillet and dry roast grated copra in it till it turns crispy and a nice aroma is given out. 6. To the roasted ingredients from step-4, add this copra and grind it in the mixer to a medium coarse consistency checking for salt. Store it in airtight container using dry spoon will remain for more than 20 days afresh. 1. 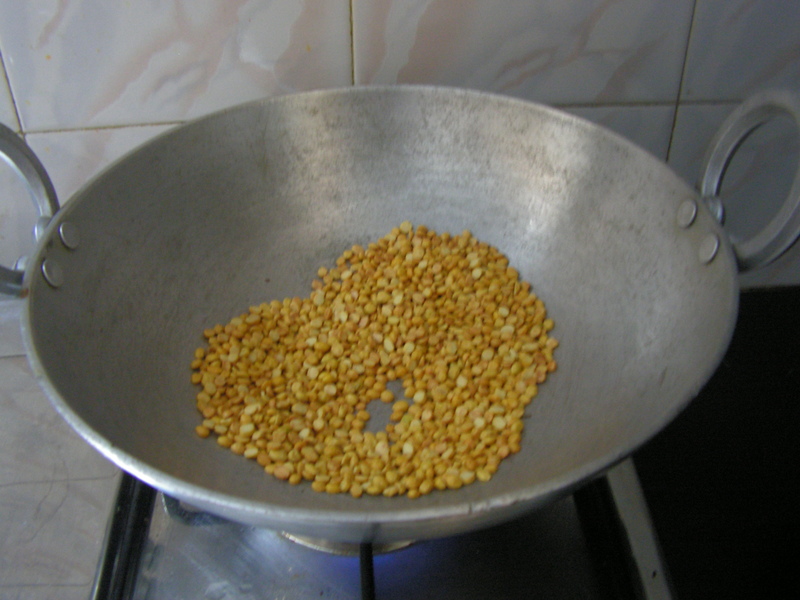 Use fresh peanuts and clean dalia dal, since at times we find some bitter peanuts too when stale and makes the powder tasteless. 3. Garlic can be increased or decreased as per the whims of one’s taste buds. 4. Store it in airtight containers for the powder to retain freshness. This entry was posted in Uncategorized and tagged 30 minutes, Dosa hut, Dry chutney powder, Dry powders, Side dish for Rotis. Alsi seeds are known as Flax seeds in English and these seeds are very rich in fatty acids, dietery fibers and a very good source of nutritious minerals. It is low in carbohydrates, and high in healthy fat and fiber, and good for fighting cholesterol – therefore, a very healthy option for those keeping a close watch on their weight and sugars. We can even prepare laddoos with these flax seeds which in turn will be very nutritious with ghee and other ingredients. 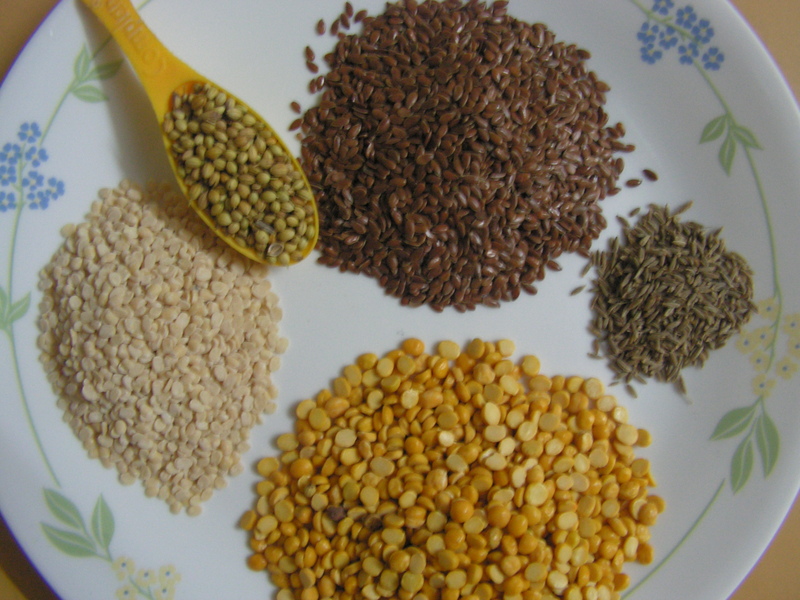 I, myself was not aware of the benefits of using alsi seeds, and infact it was only after a couple of readers requested for recipes using this nutritious ingredient that I experimented with it. 1. 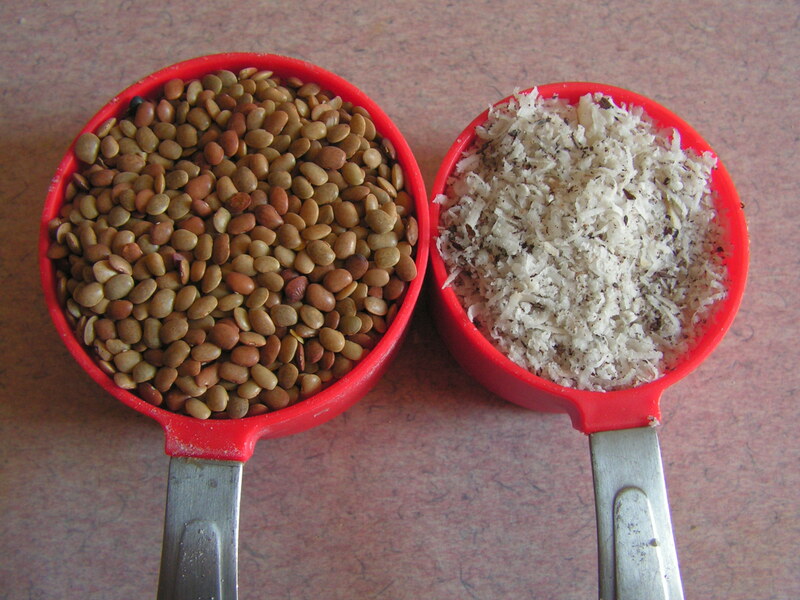 Wash and drain the water completely from alsi seeds and place a skillet with alsi/flax seeds in it. Dry roast immediately, till the seeds splutter. 2. Empty the skillet and dry roast bengalgram dal (chana dal) in it till you get a pleasant aroma on low/medium flame. 3. Dry roast blackgram dal (urad dal) in the same skillet on low / medium flame till you get a pleasant aroma. 4. 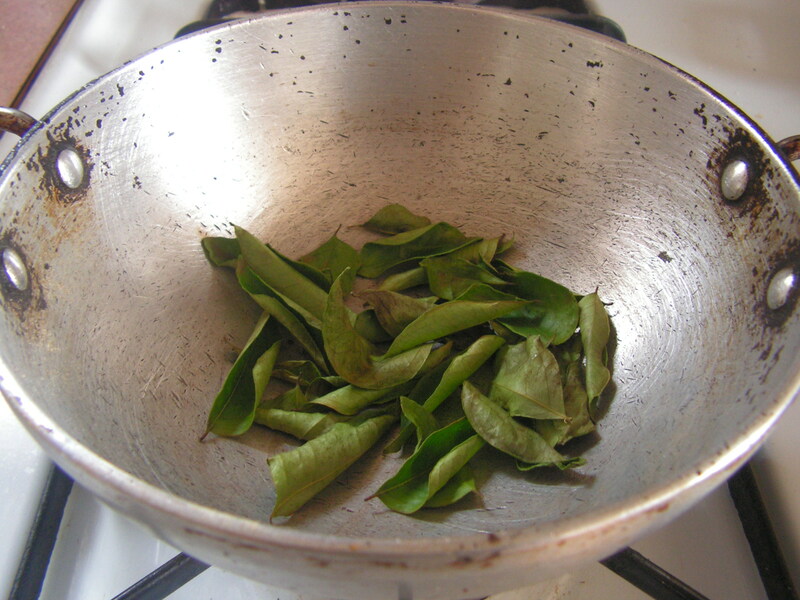 Wash and dry roast curry leaves too in a skillet till the leaves are roasted. Ensure that they do not change the colour or get burnt. 5. 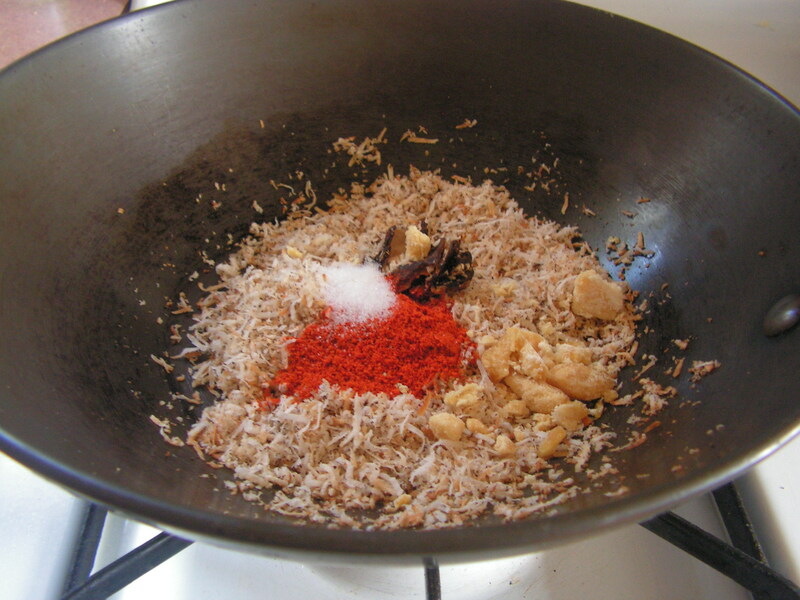 Grate copra/coconut and roast it in a skillet on a low flame stirring continuously till you get a pleasant aroma. Switch off the flame and add chilli powder to it and stir it to mix. Add tamarind to it too. 6.Place a spatula with 1 teaspoon of cooking oil on low flame and fry soft asafoetida in it till crispy. 7. Transfer all roasted items to a bowl including coriander seeds, cumin seeds and salt. 1. Alsi seeds should be washed properly in running water and immediately dry roasted. 2. All ingredients should be dry roasted except for asafoetida (hing). 3. Coriander seeds and cumin seeds should be added raw only. 4. Garlic cloves can be replaced in place of asafoetida, but added raw. 5. This powder can even be a good combination with curd rice and dal rice. 6. The powder can be preserved for upto a month in an airtight container and the use of a dry spoon. This entry was posted in Uncategorized and tagged 45 minutes, Dosa hut, Dry chutney powder, Dry powders, Side dish for Rotis. This garam masala powder has been a request recipe for a while and was clearly over due and here it comes. This ingredients for this recipe of garam masala powder come from a 100 years old shop ( “”The indian drugs and pharmaceautical” managed by Jogappa shanbhag & sons, Udupi ). Fresh and aromatic, the recipe is simpler than you can imagine. Its all about getting the right proportion of ingredients. I normally buy all these masala items from the same shop here and just dry it in the sun and powder it in the mixer, push it in the refrigerator and use it as and when needed. 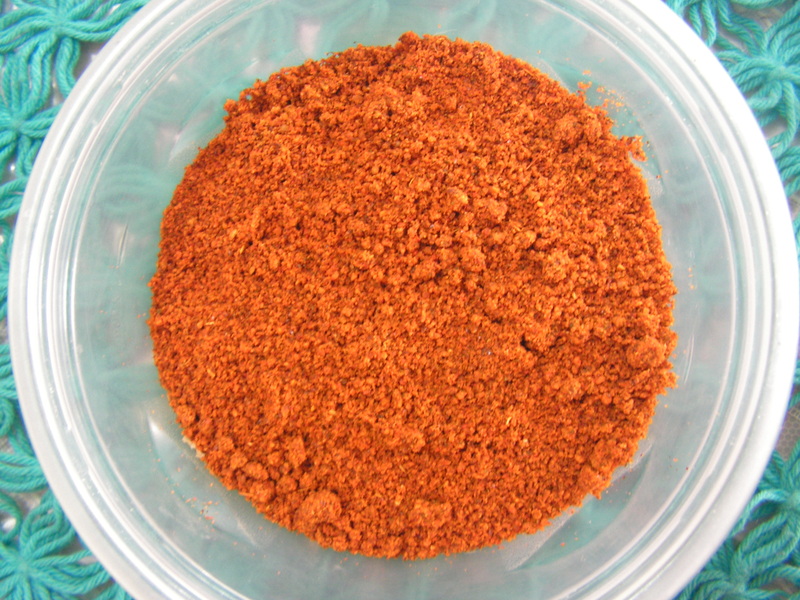 Note that powder doesn’t contain chili powder. 1. Peal all the cardamom, break Nutmeg and cinnamon into pieces and dry all the ingredients in strong sun for about 1/2 an hour. Powder it in the mixer and store it in the refregerator and will remain afresh for more than 2-3 months. Aromatic and wonderful powder much better than any branded one I suppose!!!! This entry was posted in Uncategorized and tagged Dry powders. Curry leaves needs no introduction as it is the main ingredient in the seasoning of several dishes prepared in South Indian. We use it in a variety of chutney powders as well. 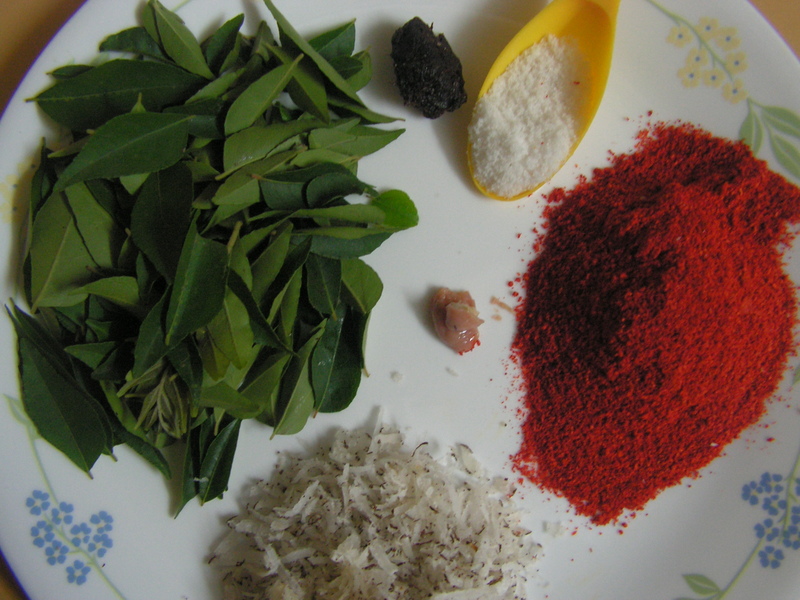 Today I am putting up the curry leaves dry chutney powder. I borrowed this recipe from one of my friends in Kerala. Here are other (several) dry powders on this blog over the years. 1. Grate coconut, wash and clean curry leaf strands and separate the leaves and keep it aside. 2. Place a skillet with 2 teaspoons of cooking oil in it. When heated fry Asafoetida in it till it turns crispy and keep it aside. 3. To the same oil add pepper corns and when it sputters add cumin seeds to it. 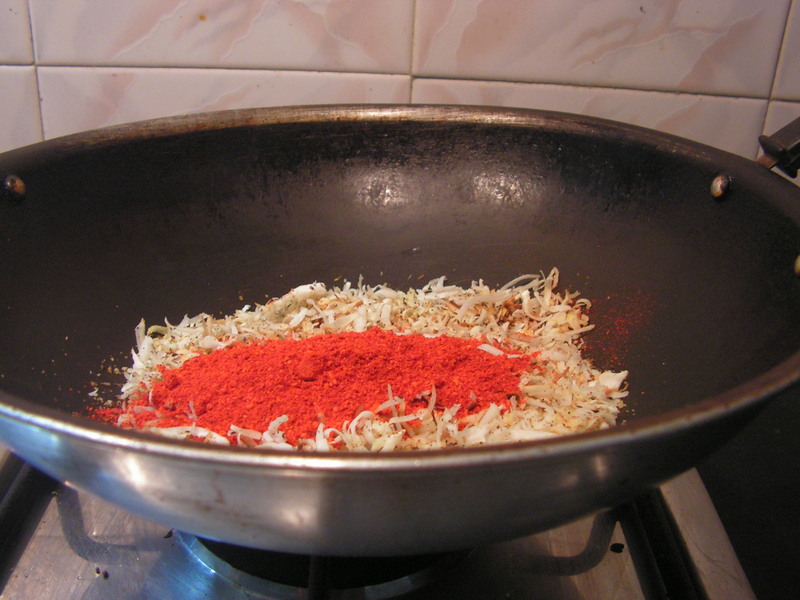 When fried add red chilies and soon after add grated fresh coconut and fry for a while. 4. When half done add curry leaves to it and fry till the mixture turns crispy but does not get burnt. 5. Add fried Asafoetida from step 2 to it, add Tamarind and salt and stir well. 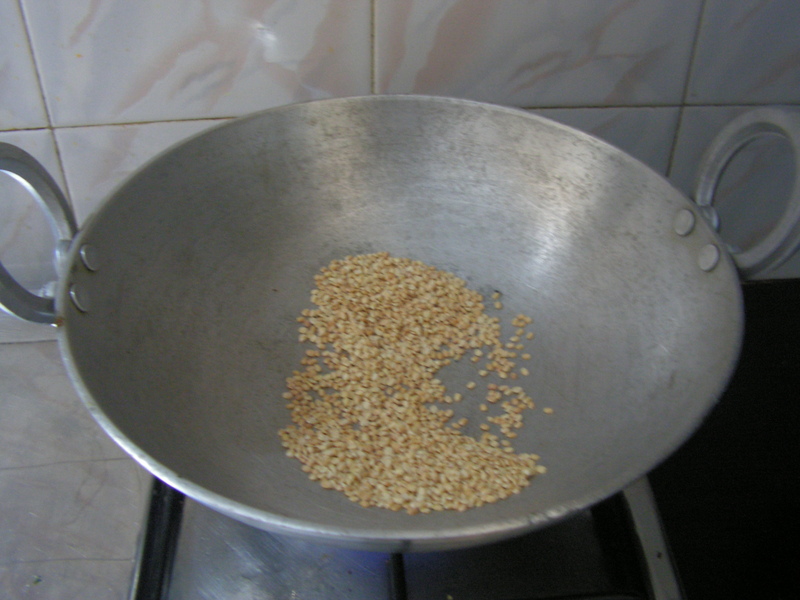 The fried mixture is as shown in the image below. Allow it to cool. 5. 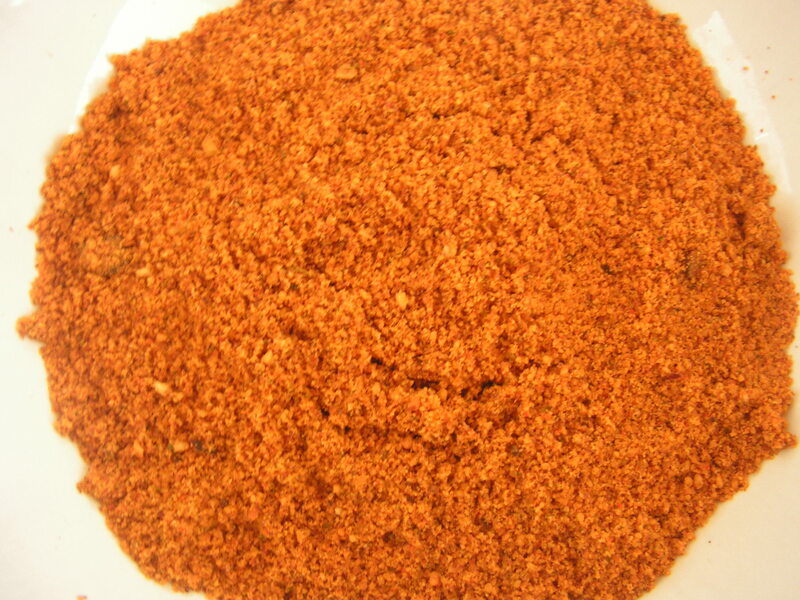 Dry grind the chutney mixture in the mixer to a medium fine consistency and is as shown in the image below. On cooling store it in dry containers and that should remain afresh for about 15-20 days. Enjoy with idlis, dosas and parathas etc.. This entry was posted in Uncategorized and tagged Dry chutney powder, Dry powders. Ajwain is also called oma in kannada. It is used in many ayurvedic medicines. In my childhood whenever we kids had a bad stomach mom used to feed us with ajwain kashaya and also she used to stuff a pinch of ajwain , salt and one or two black pepper in the beetle leaves and advise us to just chew on it for a while. Things would be back to normal without any need for a doctor visit. Ajwain is good for digestion and also helps one get some good sleep. It is also good for lactating mothers. I am putting up Ajwain chutney powder today, this is the 7th in the list of the dry chutney powders on this blog ! 1. Place a broad based bowl on the medium flame with Bengalgram Dal in it and dry roast the same till you get a pleasant aroma and a little change to light brown from its original yellow colour. 2. Place a spatula with 3-4 Teaspoons of cooking oil in it on the flame. When heated fry asafoetida in it till it turns brown and crispy. Transfer it to the bowl containg dry roasted Bengalgram Dal. 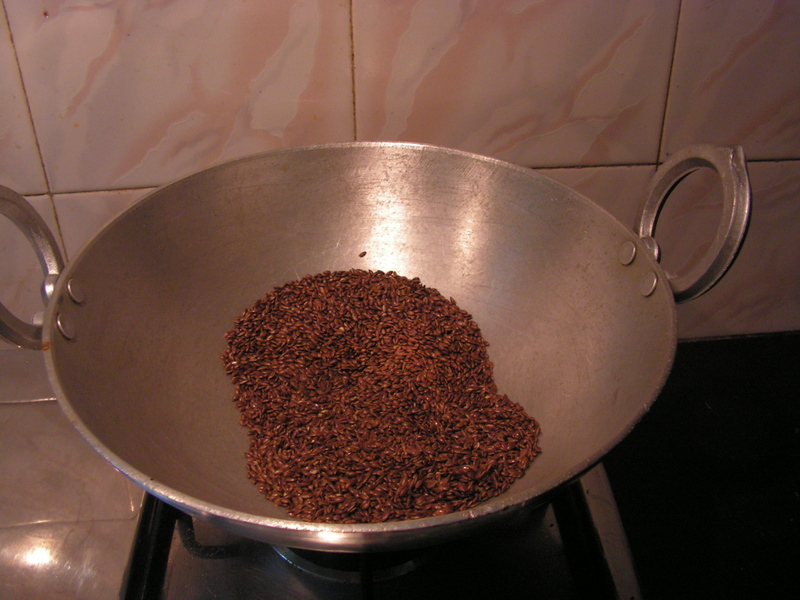 Fry ajwain seeds, cumin seeds and pepper one by one in the same spatula. 3. Place a broad based bowl on the medium flame and dry roast curry leaves in till they turn crispy but donot change the colour. Powder roasted curry leaves with the dal mix. 4. Dry roast Copra also in bowl on medium flame till it turns light brown and crispy. Switch off the flame and add turmeric powder, chilli powder to it and stir well. Add required quantity of tamarind, salt and a pinch of sugar/Jaggery for taste to it and allow it to cool. 5. Dry grind roasted dal mix from step 1, 2 and 3 in the mixer to a medium coarse consistency. 6. 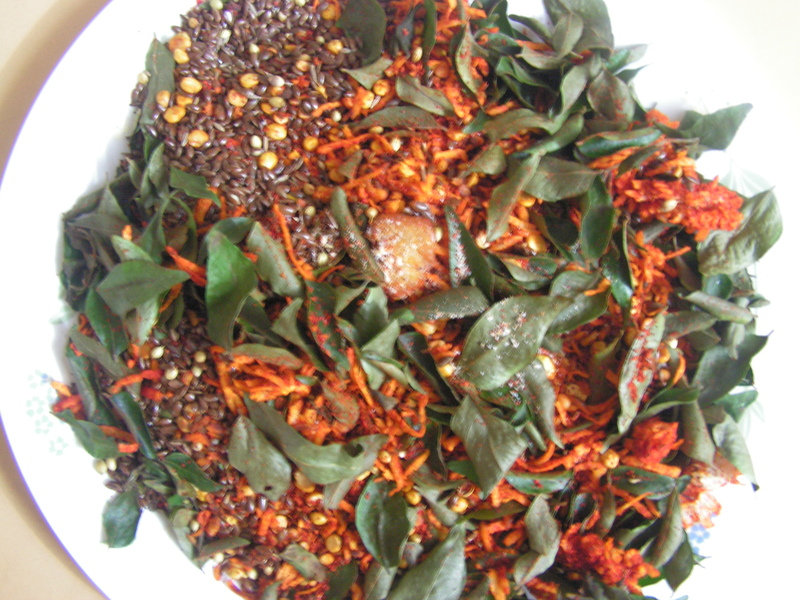 Divide dal mix into 3-4 parts and grind it with roasted copra chilli powder mix accordingly to required consistency. Ready to serve Ajwain chutney powder is here below. One can enjoy it with rotis as well as with rice and butter. On cooling store it in airtight containers and will remain afresh for about a month.